BNP Paribas Open champion Bianca Andreescu comes home to Toronto this summer. Want to see her play at Rogers Cup presented by National Bank? Get your tickets here. Bianca Andreescu is a history-maker after beating Angelique Kerber 6-4, 3-6, 6-4 in the final of the BNP Paribas Open at Indian Wells, becoming the first Canadian to win a WTA Premier Mandatory tournament. With yet another accomplished performance, the Mississauga-native produced some of the best tennis of the tournament, and her career so far, to become the youngest player to win the final at Indian Wells since Serena Williams in 1999. What became of her, anyway? This win, her fifth over a top 20 opponent since the turn of the year, will see her climb up the rankings from 60th to 24th – that’s a staggering 128-place rise since her December 2018 when she was 152nd. Andreescu, looking more like a veteran than an 18-year-old youngster, got off to a dream start in front of a blockbuster Stadium 1 crowd, breaking Kerber’s serve in the very first game thanks to a double fault by the German. Andreescu was putting on a strong serving performance – and she held out to claim the first set without facing a single break point and in just 40 minutes. At one point, when Andreescu claimed an energy-draining point via a powerful overhead shot to force deuce on Kerber’s serve, the commentator on DAZN asked ‘is there anything she can’t do?’ such was her swagger on the court. But Kerber, a three-time Grand Slam winner, was never going to surrender easily. The 31-year-old came out at the start of the second set with a steely-resilience that helped her break Andreescu’s serve in the fourth game. And the German would go on to win the set 6-3. It soon became clear that Andreescu wasn’t just fighting a battle against Kerber, but also against fatigue. Midway through the third set, the teenager was forced to call a medical timeout as she received treatment on what seemed to be a shoulder problem. 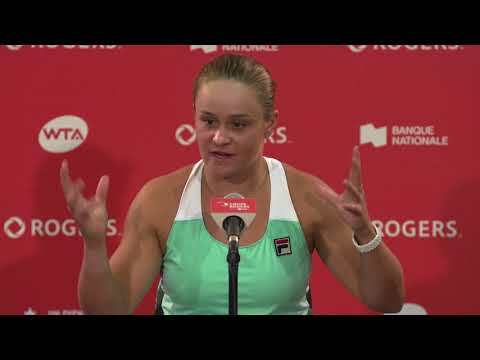 Questions were being asked of Andreescu by Kerber, who went ahead a break thanks to an unforced error by the 18-year-old, but the youngster showed tremendous mental and physical toughness to comeback and score a break of her own, levelling the third set at three games-all. With two games to go, the Canadian summoned unbelievable strength to break Kerber again, meaning the next game would see her serve for the championship. 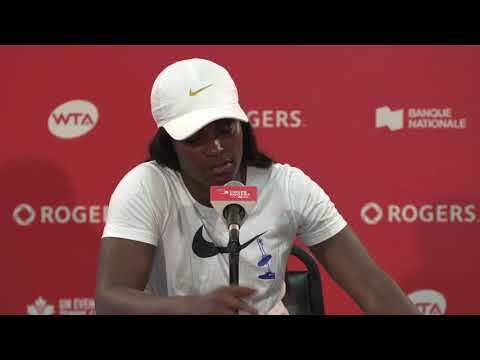 The tennis world will have been watching with their hearts in their mouths as Andreescu missed on three championship points before Kerber came back to break her serve. Despite that setback, the Canadian came out the very next game and produced an incredible series of points to engineer another championship point. Her heart, intelligence and guts were on show for all to see as she claimed the decisive point, dropping to the floor in euphoria as the BNP Paribas Open champion.